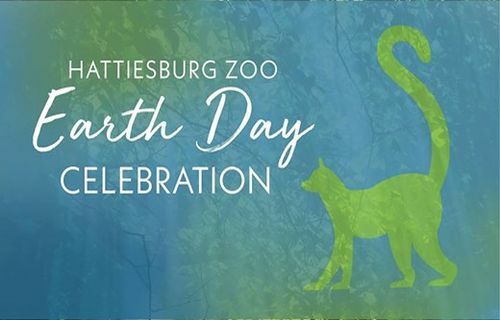 Ocean Springs, Disneys Frozen Jr. (4/19 - 4/21): Triple Threat Academy presents the enchanting modern classic from Disney, Frozen Jr.
Hattiesburg, Earth Day Celebration (4/20): Dig deep into nature at the Hattiesburg Zoo's Earth Day Celebration on April 20th! 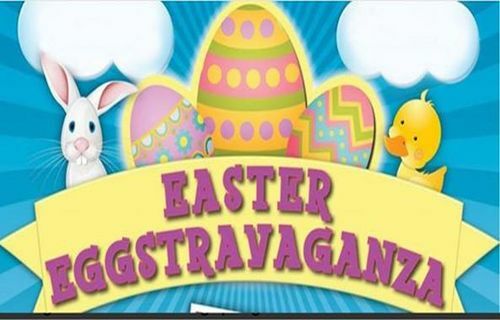 Biloxi, Easter Eggstravaganza (4/20): There will be an Easter Egg hunt with 1,000 eggs! 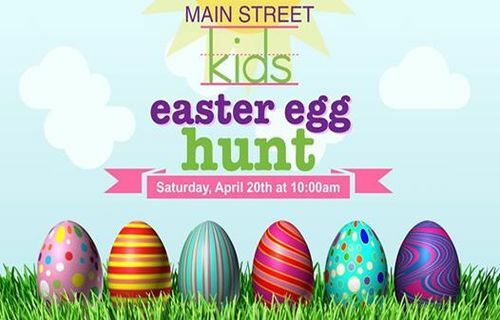 Hattiesburg, Main Street Kids Easter Egg Hunt (4/20): Are you looking for a fun Easter egg hunt with your family? We hope you and your family will join us for our annual Easter Egg Hunt! This event is for kids up to the 6th grade. Clarksdale, Relay for Life of Coahoma County (4/19): Relay is a team fundraising event where team members take turns walking around a track or designated path. Pearl, Rescheduled! 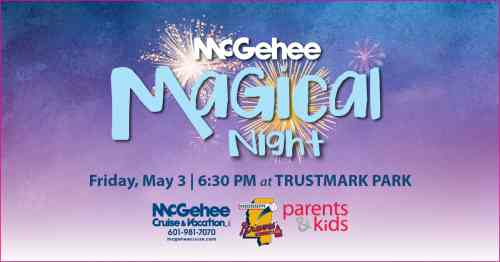 McGehee Magical Night (5/3): At this baseball game, one lucky fan will win a vacation for four to Walt Disney World in Florida, courtesy of McGehee Cruise & Vacation, Inc.
Bay Saint Louis, Relay for Life of Hancock County (5/4): Relay is a team fundraising event where team members take turns walking around a track or designated path. Biloxi, Biloxi Freedom Fund Banquet (4/27): Join the Biloxi NAACP for our annual Freedom Fund Banquet on Saturday, April 27, 2019 at the IP Casino Resort. Biloxi, Breakfast with the Easter Bunny at Hard Rock Cafe (4/21): Come have breakfast with the Easter Bunny at Hard Rock Cafe! We will be open special hours and serving breakfast for this special event! Biloxi, Ceramic Face Jug Workshop with Mark Rigsby (5/4): Students can create multiple face jugs. Please register by paying for the number of face jugs you wish to create and specify number and sizes. Biloxi, Deer Island Paddle/SUP Yoga (4/27): Join Paddles Up at our new location and explore Deer Island! Deer Island is our closest barrier island and just a short paddle from our new location at the Schooner Pier. Biloxi, Derby Spring Mixer 2019 (5/4): Grab your best hat and seersucker to join us for debry, dinner & dancing! Biloxi, Gourmet Pizza Cooking Class (4/27): Chef Danie will share her very own dough recipe and also teach you how to make two special sauces. Biloxi, Thunder Over the Sound Biloxi Air & Space Show (5/4 - 5/5): Gates at Keesler open at 7:30am where you will find static displays, kids' zone with inflatables and obstacle courses and air shows. Brandon, The Avett Brothers (4/20): The Avett Brothers is an American Folk band made up of brothers, Scott and Seth Avett, as well as Joe Kwon and Bob Crawford. The group was formed during 2000 in North Carolina. Cleveland, May The Fourth Be With You Family Day (5/4): Join us for a Star Wars-themed, May The Fourth Be With You Family Day, featuring live music and a special presentation from Mississippi Swing! Collins, Relay for Life of Covington County (5/10): Relay is a team fundraising event where team members take turns walking around a track or designated path. Corinth, Proof (4/19 - 4/21): Don't miss the modern dramatic classic, "Proof", make its return to the stage at CT-A! Gulfport, 2019 Gulf Coast Dragon Boat Festival (4/27): United Way of South Mississippi is gearing up for the 2019 Gulf Coast Dragon Boat on April 27th at The Dock in Gulfport. Gulfport, Bananas Day at the Museum (4/20): We will having a day all about Banana's at the museum. We will have a Banana Mascot, Buy One Get One FREE tickets from Bananas Mini-Golf & Arcade, Banana refreshments & give-aways. Gulfport, Lets Stop Abuse (4/20): This is an event to raise money for Sue House. This orgainization helps women and children who have suffered at the hands of abuse. Hattiesburg, 2019- 21st Annual Downtown Crawfish Jam Music Festival (4/27): The 21st annual Downtown Crawfish Jam Music Festival (DCJ) presented in part by Southern Beverage, is set for April 27, 2019 at Walthall Park. Hattiesburg, 8th Annual FCA Good Friday Breakfast of Champions (4/19): Annual celebration of ministry by the local chapter of the Fellowship of Christian Athletes held on "Good Friday." Hattiesburg, Easter at Central (4/21): Join us on Sunday, April 21, as we celebrate the resurrection of Jesus Christ! Hattiesburg, Live Music: Modal Jazz (4/20): Join us on the deck for live music, drinks, and great food! Modal Jazz will be playing from 7:00pm-10:00pm. See you at Glory Bound! Tag a friend and share! Hattiesburg, Midnight Revel and Ugly LIVE at The Thirsty Hippo (4/20): Come on out for a special show with our friends from New Orleans, Ugly. Jackson, A Closer Look: Silhouette Artists in Antebellum Mississippi (4/27 - 8/25): The presentation of Black Out: Silhouettes Then and Now will be complemented by A Closer Look: Silhouette Artists in Antebellum Mississippi, a gathering of 17 additional works from the NPG. Jackson, Black Out: Silhouettes Then and Now (4/27 - 8/25): The Museum engages its visitors with art through exhibitions that often merge art making of the past with that of the present. Jackson, Caddie Day at Country Club of Jackson (4/27): This opportunity is for youth participants of all golf-skill levels, ages 7-18, to participate in an event to be a Caddie for a Day with an assigned golfer from The Country Club of Jackson. Jackson, Easter Egg Hunt (4/20): The annual Easter Egg Hunt at the Mississippi Agriculture and Forestry Museum will be held Saturday, April 20, 2019 from 10am – 2pm. Jackson, La Bohème • Mississippi Opera (4/27): Our largest production of the year is Puccini’s, LA BOHÈME. Set in Paris during the 1840s, the opera follows a group of young bohemians struggling to make ends meet. Jackson, magnolia bayou (4/19): Magnolia Bayou is a rock band, born on the bayous of South Mississippi. Jackson, SOUTH JACKSON PARADE (4/27): SOUTH JACKSON PARADE; FEATURING JSU'S *SONIC BOOM PEP BAND* AND ALL JACKSON HIGH SCHOOL BANDS. Jackson, VISUAL VOICES: Contemporary Chickasaw Art (3/2 - 6/2): With VISUAL VOICES: Contemporary Chickasaw Art the Museum continues our commitment to social engagement and racial equity. Long Beach, Long Beach SVdP Friends of the Poor® Walk (4/27): Long Beach Harbor (Highway 90 and Cleveland Ave., Long Beach, MS 39560) Two mile walk starting at the Long Beach Harbor heading to the Gulfport city limits and back to the harbor. Madison, First Baptist Madisons Spring Fling (4/20): Join us for our 2019 Spring Fling! Meridian, Deep South Brahman Association Brahman & F-1 Sale (4/20): 80 Elite lots of Registered Brahmans (includes all classes and genetic opportunities). Meridian, Free Screening for Kidney Disease (4/27): Free Screening for Kidney Disease at Council of Organizations, sponsored by Omega Psi Phi Fraternity. Meridian, Jackie Slay Breakfast of Champions (4/19): This year we are honored to have New Orleans Saints starting middle linebacker Demario Davis! Meridian, Roadhouse Atlanta returns to News (4/26): Roadhouse Atlanta one of the souths most popular classic rock party bands returns for the 3rd year in a row to NEWS for its Spring Mississipi Throwdown Outdoor concert series. Meridian, Steve Forbert (5/4): Steve Forbert is best known for his hit "Romeo's Tune" from his 1979 album Jackrabbit Slim. Meridian, Tee it up for Autism (4/26): Golf scramble supporting Center Ridge Outpost, an inclusive summer camp for children and adults diagnosed with Autism Spectrum Disorders. Meridian, Truckers Supply 50th Anniversary Open House (4/26): Truckers' Supply Co. is celebrating its 50th Anniversary with an Open House celebration event on Friday, April 26th. We'll have food, SnoBiz, live music, vendor booths, door prizes and giveaways. Ocean Springs, Walter Andersons Creatures from the Deep Childrens Art Show (5/5): The Walter Anderson Museum presents Walter Anderson's Creatures from the Deep Children's Art Show. Olive Branch, Doormat Workshop (4/27): Our next Doormat Workshop will be April 27th! Come make an awesome, personalized doormat to freshen up your front door for spring. There are eleven different designs two sizes to choose from. Olive Branch, Good Friday Worship (4/19): Join us on Good Friday for a time of worship and reflection. Oxford, Double Decker Festival (4/26 - 4/27): The 24th annual Double Decker Festival will be held on April 26-27, 2019. Originally inspired by the Double Decker bus that Oxford imported from England in 1994. Oxford, H.M.S. Pinafore, UM Opera Theatre (4/26 - 4/27): H.M.S. Pinafore, or “The Lass that Loved a Sailor” offers plot twists, whistleable tunes, and rollicking fun aboard Her Majesty’s gallant ship, Pinafore. Ridgeland, $20 Microchip Clinic and Adoption Event at Orvis (4/27): Join us Saturday, April 27th at Orvis for some adoption and microchipping fun! Ridgeland, Parents Night Out! (4/19): Easter Egg decorating, movie, pizza! Ridgeland, Pepsi Pops: A Blast in the Park (5/10): This annual family treat feasts on the lovely, exciting sights and sounds of the MSO at dusk on the Rez, followed by moonlight and fireworks. Southaven, Frozen Frenzy (4/27): Frozen Frenzy is perfect for all 4-8 year olds completely obsessed with Elsa, Anna, Olaf and company! Southaven, Greenbrook Neighborhood Easter Egg Hunt (4/20): Come join us for a fun time of Easter Egg hunting complete with refreshments and photo booth! 10,000 eggs with prizes in every one! Starkville, Crystal Talismans (4/27): In this stone energy workshop, we will be exploring crystal talismans and how to make them. Tupelo, 2019 Breakfast of Champions (4/19): At this event, 38 outstanding young people will be recognized as District 1 Champions of Character, along with, male and female D1 Coaches of the year. Tupelo, 2nd Annual Power 101 Sanctuary Hospice Radiothon (4/26): Join us for a day of giving back to Sanctuary! Fun, Food, Prizes! Call in donations of support, in honor, in memory. Tupelo, Bishops Flower Shop - Spring Handprint Show (4/27): Tupelo, MS - Exciting pottery handprint show for upcoming Mother's Day, Father's Day, Easter, & Grandparents! Tupelo, Pet Adoption and Blood Drive (4/27): MidSouth Animal Welfare Foundation and Vitalant have joined forces to save the humans and save our furry friends. Vicksburg, “A Red Plaid Shirt” (5/3 - 5/12): A Red Plaid Shirt is about two retired friends, Marty and Harley, and they are trying to decide what to do with their new free time. Waynesboro, Alonzo Williams Presents Running Out Of Time The Hit Stage Play (4/27): Join the cast of AW Productions on Saturday, April 27th for our Hit Stage play entitled " Running Out of Time" at New Vison Baptist Church.